Ten years ago, the lib dem blogfather Jonathan Calder wrote an article for the New Statesman about the party’s first 20 years. But if Liberal enthusiasts for merger were to have their hopes crushed, Liberal sceptics were to be confounded too. There were many who feared the new party would see Liberalism submerged within Social Democracy or junked in an enthusiasm for all things new. He shared it on Twitter yesterday, saying that he had been one of the Liberal Party members who had opposed the merger. I would have voted in favour and was all set to attend (I lived pretty close!) but I was being pathetic over a girl in lower sixth and went round to see her instead…she dumped me the week after, served me right! I actually came to the new party from the SDP. I had been very much in favour of merger and told Bob Maclennan so in no uncertain terms on the day after the disappointing 1987 election. Could Tim Farron’s band reunite at the Glee Club? It didn’t take long for a photo of a very New Romantic Tim Farron and his two band-mates to appear on the internet. Within hours of Jonathan Calder revealing the name of our leadership hopeful’s band this morning, he was sent a photo, from around about 1987, of a teenage Tim Farron in his band, Fred the Girl, previously known as The Voyeurs until they realised what exactly that meant. I was not initially planning to get particularly involved on the David Miranda Schedule 7 issue except as a concerned, nay horrified, spectator. After all, I’m an MEP not an MP nor (at present) able to be active as a peer, and I have plenty on my plate in Brussels. One element missing from the Queen’s Speech was the Communications Data Bill, aka the ‘snoopers’ charter’. No surprise to Lib Dems: Nick Clegg torpedoed it last month. So I had a momentary spasm of concern to see on ConservativeHome this story from Mark Wallace: The Snoopers’ Charter comes sneaking back. Again. @stephentall @wallaceme it’s not coming back. At least this parliament. Peter Kellner, the President of polling company YouGov, has written a typically thought-provoking piece analysing – using recent polling figures – what he believes to be the reasons behind the Lib Dems’ current difficulties, and suggesting some solutions to overcome them. Under Charles Kennedy’s leadership, the party had a simple and generally popular approach to public services: Kennedy consistently supported higher spending on favourite public services and appointed as party spokespeople those with experience of that service. So in education, for example, it was ex-headteacher Phil Willis leading for the party, promoting costed policies to put more cash into the party’s priorities. “We need to up our game.” As a Liberal Democrat, I endorse this message. Nick Clegg’s ministers have been told to go on TV and declare proudly “I’m a Liberal Democrat” in an effort to improve the party’s poll ratings. Party strategists are demanding better “messaging” from politicians. It includes using the phrase “as a Liberal Democrat …” at every opportunity, and regularly uttering the word “coalition”, which research finds is popular with voters. Sometimes the toughest speaking gigs for MPs is when they are talking to a friendly audience – but something interesting is happening behind them. So it was a few months ago with Julian Huppert talking to Putney Liberal Democrats. Very thoughtful speech, well received by the members and supporters present – but Julian had to struggle to avoid being upstaged by the cute, preening, attention-seeking cat paddling back and forth behind him. The Social Liberal Forum — a group of Liberal Democrat members who advocate ‘that a democratic and open state has a positive role to play in guaranteeing individual freedom’ — met yesterday for their first conference on a high note: their mobilising role at the party’s spring conference is widely credited with having strongly influenced the Coalition’s changes to the controversial NHS reforms. A favourite pastime of cynical journalists with space to fill is to take select phrases from the speeches of different party leaders, remove the names of the authors, jumble up the order and then ask the reader to guess which leader said which. Even with the wondrous variety of the English language, it’s no surprise that words and phrases often overlap, even between politicians with radically different views of the world. There is, even so, sometimes a deeper truth in this parlour game for cynics. In other news… speed cameras and does online campaigning work? Jonathan Calder reports on the latest goings on in the lively world of Leicester politics, including Conservative Councillor Nigel Porter resigning from his party and deciding to fight his ward for the Liberal Democrats in May’s elections. Over on the Guardian’s Comment is Free site, Liberal Democrat blogger-in-chief, Jonathan Calder, turns his attention to one of this week’s most important political stories: the arrival of Larry, Downing Street’s newest resident (who also happens to be a cat). It was, of course, Downing Street’s rodent problem (no, actual rats, thank you Harriet) that necessitated Larry’s presence, and Jonathan even has time for a brief history of Westminster’s rodential (yes, that really is a word) residents, as well as its feline ones. Over the years we’ve covered Andy Coulson many times on this blog, over both his extremely high salary when working for the Tories (much higher than salaries levels Tories were criticising others for having) and also – more importantly – the phone hacking allegations. Although yesterday he resigned, he is unlikely to depart the political stage quickly or quietly as the long queue of people at various stage of taking legal action over allegations of phone hacking mean the details of who did what and with whose knowledge will continue to be newsworthy for a good while yet. The decline of Labour as a coherent intellectual force is one of the defining features of recent British politics. No doubt the next few years will see a healthy process within Labour to seek to heal the wounds and to re-focus. I suggest that under the banner of ‘progressivism’ this process has started. I was struck by this recent article by the Economist’s political columnist Bagehot, headlined When progressive actually means misanthropic, reflecting on the Lib Dem conference, and specifically the debate on free schools. Liberal Democrat Leader and Deputy Prime Minister Nick Clegg is representing the UK at the United Nations Millennium Development Goals summit in New York. Lib Dem blogger Jonathan Calder is also there, with an international group of bloggers put together by Oxfam to report on the summit. You can read his take here. The BBC’s Laura Trevelyan writes fulsomely about Clegg’s diplomatic experience and linguistic skills here. It is an honour for me to address the General Assembly today for the first time as Deputy Prime Minister of the United Kingdom. Wells MP Tessa Munt has been cleared of allegations of falsely claiming a single occupier council tax discount. The Lib Dem has always denied any wrongdoing over newspaper allegations she had friends living with her. 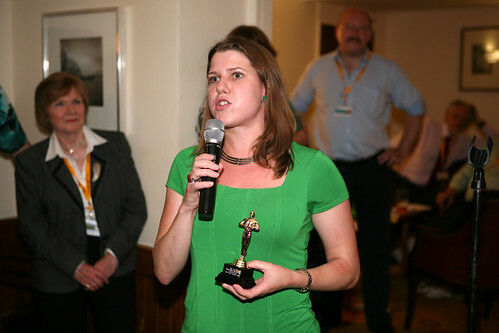 The Liberal Democrat Blog of the Year Awards, run by Lib Dem Voice, are back for their fifth year. As usual, they’ll be awarded in a budget lavish ceremony at the party’s autumn conference in Liverpool. (There’s further information on the event over at the Lib Dems’ Flock Together site). Click on the following links to see last year’s Shortlist and the Winners.